The Sticky Waterfall is an amazing day trip outside Chiang Mai. It's very cool to walk up and refresh yourself. 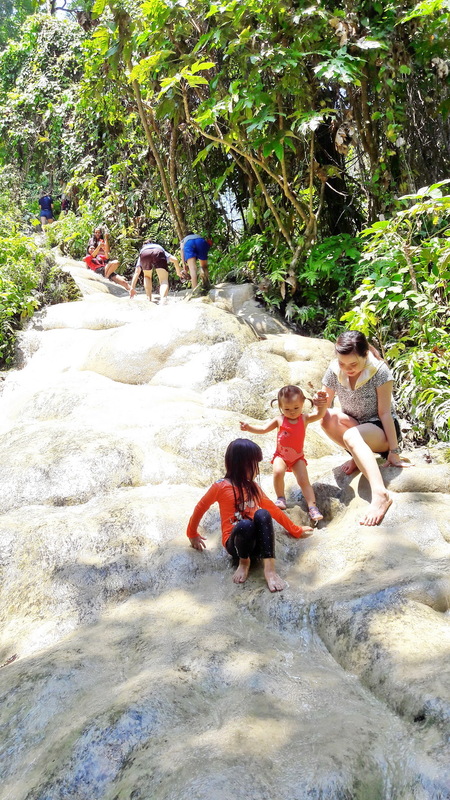 The Buatong Sticky Waterfall are located about 60 km north of Chiang Mai City, in the Sri Lanna National Park. 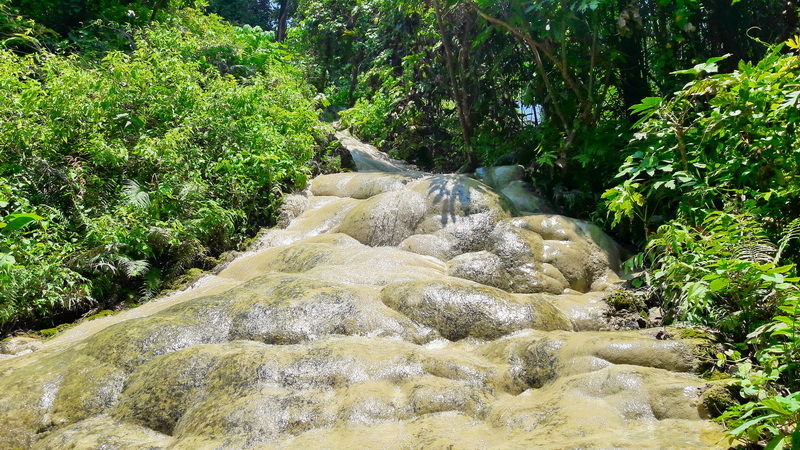 Not too many people know about this sticky waterfall, because it’s off the well-worn tourist track. The Sticky Waterfall get their name from a mineral deposit that provides an incredibly grippy surface for bare feet and hands. In fact, the rocks feel like hardened sponges, callous and even slightly prickly to the touch, but surprisingly give a bit under pressure. 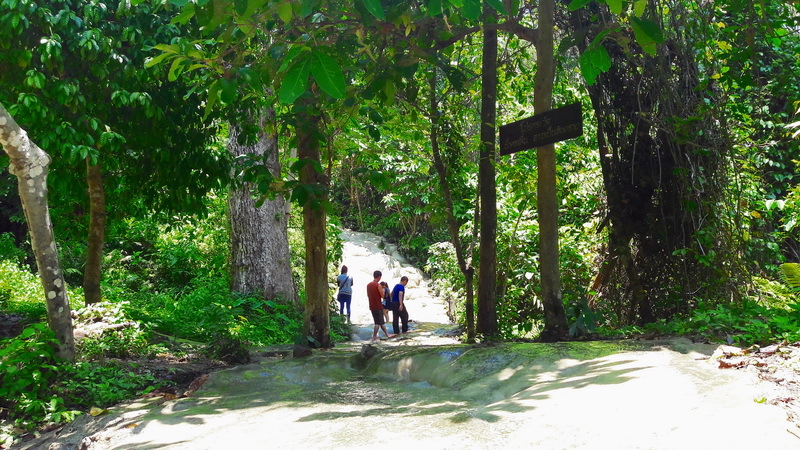 There are also no algae or slime that adheres to the rocks, leaving a perfect canvas to climb up the waterfall. It is impressively steep in some places, but with the aid of the limestone deposits on the stones. There are 3 different levels to experience, in which the top levels are the starting point. The rocks are cream colored and bulbous, almost cartoonish, and contrast beautifully with the dark green forest. And the water? Crystal clear and cool. In the rainy season (June through September), you can expect the water to be more rapids-like and powerful as they surge down the falls. 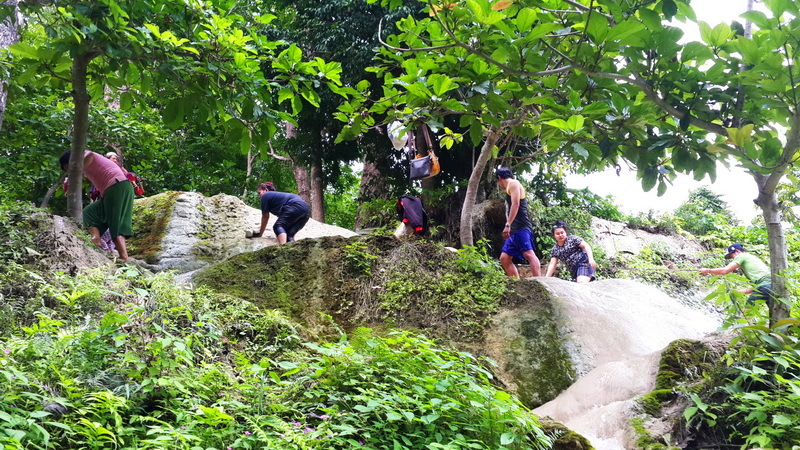 Thanks to the lime stone, which floats in the water, the rocks are not slippery and you can climb them easily without any equipment. You don’t even need shoes! The rocks are a little prickly, and some feel like pumice stones. The middle level seems to be a little more dangerous and slippery. Also, it is better not to walk around the paddles in your flip flops as you can easily lose them in the mud. 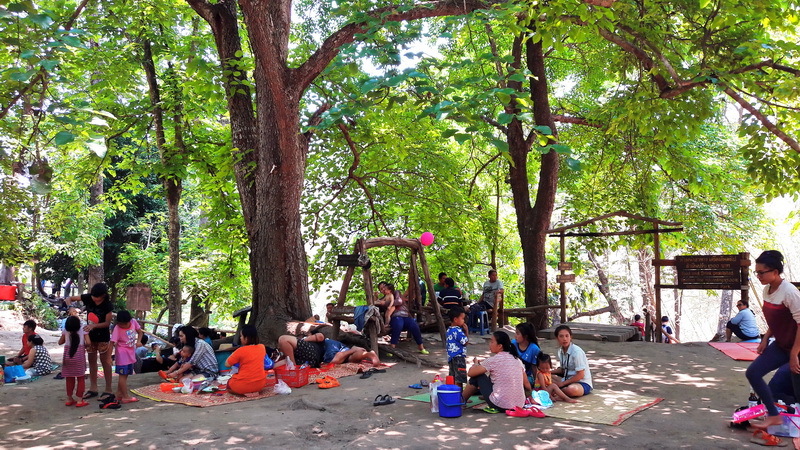 There are drinks and light snacks for sale on the premises and clean, although Thai-styled, bathrooms. Food is not allowed down in the waterfall area (there are no trash cans to dispose of your garbage), but there are plenty of picnic tables with shade near the top area of the park entrance. Operating time : 06.00 a.m. - 06.00 p.m.